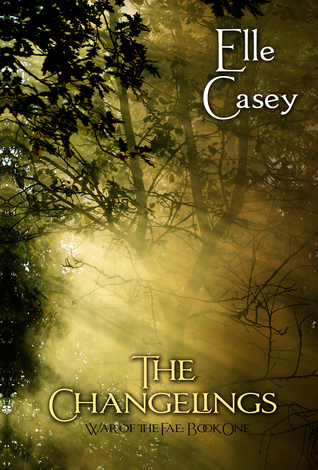 Read my review of the first book, The Changelings! Absolutely loved this second installment to the series! I didn't think Jayne and her friends could get any funnier, but they did! The first thing I have to say about this series, and Elle Casey in general, is that it--and she--is one of my favorites simply because of how hilarious it is. Seriously, Jayne in my kind of girl. I can see the two of us hanging out. She is such a smart mouth, and she can cook up quite a sarcasm soup in any situation, no matter who she's talking to. She is one sassy girl. The overall plot of the series is starting to take form in this book, which I'm excited for. In The Changelings, the scene was still being set, and when the book ended, more questions were posed than were answered. Now that Jayne and co. are actually living with the fae, they're learning the secrets of the trade, even if not everyone is completely truthful or particularly forthcoming with them. Jayne learns some things about her particular brand of faerie, such as exactly what she can do and what elements she has an affinity for. Some other things are mentioned about another fae that's similar to Jayne, only the inverse of her powers, which I know will become a massive plot point in the future. I like how the other characters grew in this book. Chase--oh I love Chase! I admit to having a crush on him, and I sincerely hope that Jayne gets some Chase loving because he's just so perfect and cute. Love him! There's also a new addition to the group: Tim the Pixie! OHMYGOD, I absolutely adored Tim! He was just as hilarious and spunky as Jayne, BUT IN A TWO-INCH TALL GREEN PACKAGE. How adorable is that? I do have to say that I'm not particularly a fan of how Elle Casey chose to end this book. As with the first one, she ended it right in the middle of a crucial scene, but it doesn't come off as a cliffhanger this time. These books actually continue on exactly where the previous one left off (I've read the beginning of the 3rd book, so the continuity is the same) and I'd much rather that Elle simply closed of the action for each book and then started up fresh in the next. That would, firstly, give us readers some closure upon finishing, and secondly, give us, and the characters, some time for a break. Fans of the first book should absolutely continue on with this one. 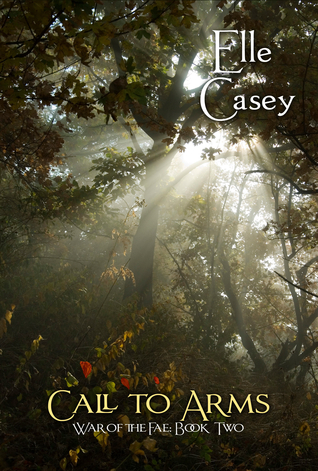 It's got the perfect blend of a contemporary and believable teenage cast of characters, with some really intricate and deep-rooted fae mythology.